Last year, Microsoft announced a major restructuring of its mobile business, massively reducing its own Lumia portfolio to just four handsets, in an effort to clear a path for more of its hardware partners to sell their own Windows phones. How is that strategy going so far? Not well, if Gartner’s latest figures are anything to go by. Microsoft said in April that its Lumia sales for the first quarter of 2016 had dropped by 73% year-over-year; according to Gartner, total Windows phone sales fell by 72% over the same period, bringing Windows’ share of the global smartphone market down to just 0.7%. It appears that non-Lumia Windows phone sales may have been as low as around 100,000 units around the world for the entire quarter. But Microsoft has succeeded in attracting new manufacturers and brands to the platform, many of which have already launched their first Windows 10 Mobile devices. And while most have focused on phones, some have launched small tablets running the Mobile version of the OS. Microsoft’s latest hardware guidelines for the platform will soon allow for tablets with screen sizes of up to 9-inches to run Windows 10 Mobile. 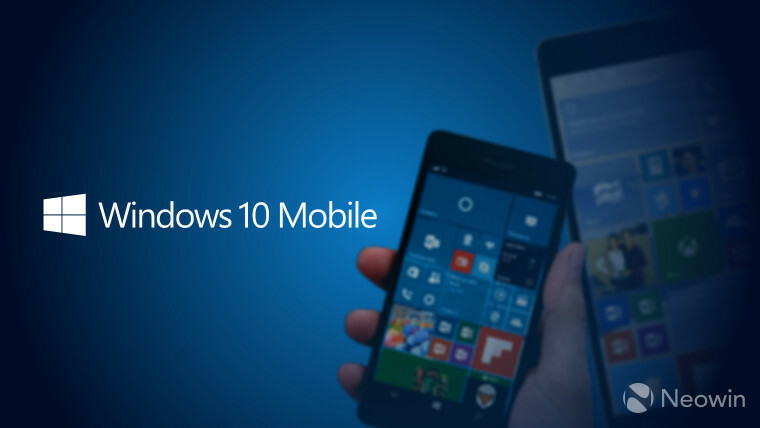 Let’s take a look through the Windows 10 Mobile devices that have been revealed so far. By October 2014 - six months after the launch of Windows Phone 8.1, and a licensing change that made Windows free for all phones and small tablets - Microsoft said it had succeeded in signing up over 50 new hardware partners to launch new devices. Now, six months after Windows 10 Mobile officially launched with the release of Microsoft's latest flagships, fewer than 20 companies have announced phones with the new OS onboard, and many of those who previously launched Windows Phone 8.1 devices have so far chosen not to offer newer handsets with the latest version. Of those companies to have announced or launched their Windows 10 Mobile devices, few are global brands, with most only maintaining local or regional operations. 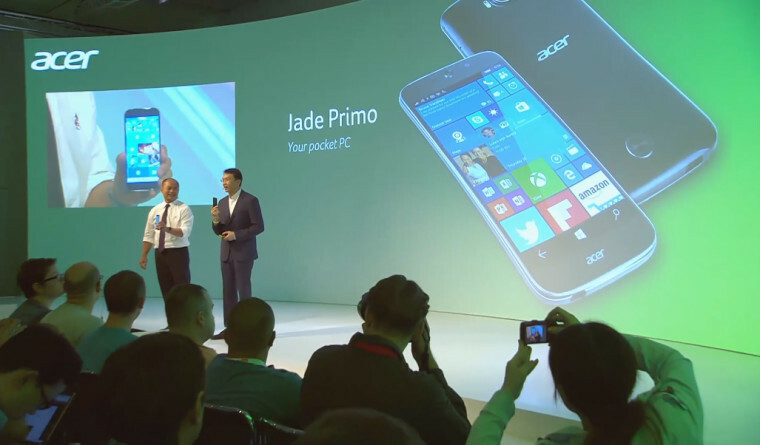 Acer unveiled a Windows 10 Mobile device – the Liquid Jade Primo, way back in September last year – but it wasn’t until more recently that the flagship-class handset became widely available. 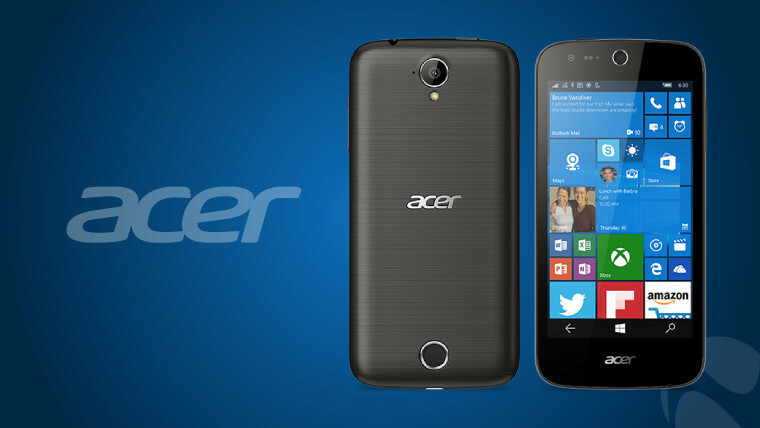 Acer refers to the Jade Primo as "your pocket PC", as it's one of only a handful of phones that support the operating system’s high-end, PC-like Continuum feature – functionality that Acer is evidently keen to push enthusiastically to its customers. It recently announced the Liquid Extender, a notebook-style device that runs off the phone's hardware, offering a Continuum experience on the move. But while the Jade Primo is available in several major markets, it seems the company has no plans to bring it to the United States. Two versions of the same device (which is also offered in an Android 5.1.1 Lollipop flavour), the Liquid M320 (3G) and Liquid M330 (4G LTE) were also announced last year before going on sale more recently. These entry-level handsets feature low-end specs to appeal to budget-sensitive buyers; in the US, for example, the M330 went on sale last month for just $99 SIM-free and unlocked. Incidentally, Microsoft didn’t do Acer any favors when it launched the M330 on its Store with an image showing Windows Hello support (which it doesn’t have) and promising 30GB of free OneDrive storage (an offer it had already discontinued). While it’s since fixed those issues, the Microsoft Store listing still refers to the OS as ‘Windows Phone 10’. 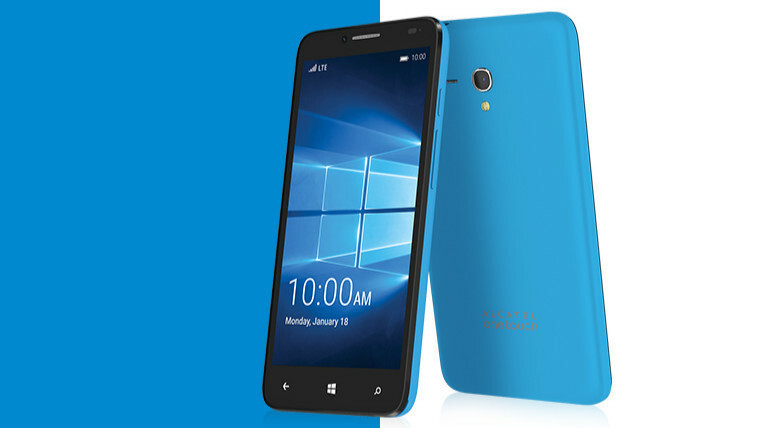 Alcatel (formerly Alcatel OneTouch) is no stranger to offering Windows phones, and announced its first Windows 10 Mobile handset in January. Unusually, the Fierce XL for Windows is a world exclusive for T-Mobile in the United States, and it’s not yet clear if the company plans to make it available on other US carriers, or in other markets. The device offers an interesting mix of specs for its $140 price tag, with a low-end Snapdragon 210 processor, but 2GB of RAM and 16GB of onboard storage, along with a very generous 5.5-inch display with 720p resolution. An identical version of the Fierce XL for Windows is available with Android 5.1 on T-Mobile’s MetroPCS prepaid wireless service, priced at just $59 after mail-in rebate. Another entry-level device that also comes with an identical Android sibling, the 50 Cesium was first announced in August, but didn’t go on sale until January. 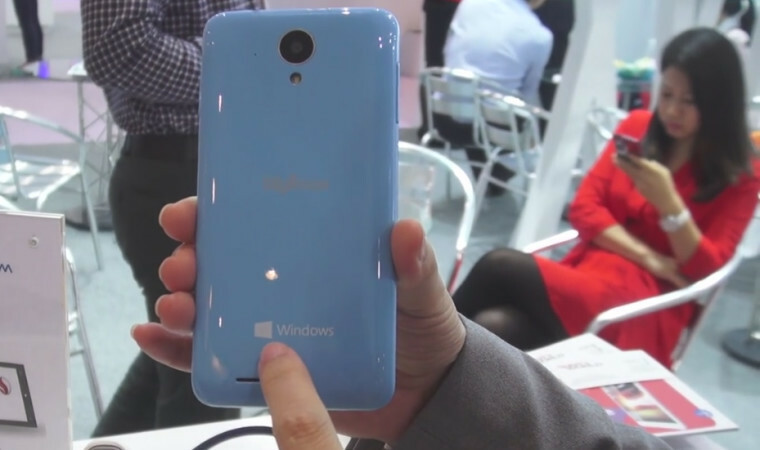 French firm Archos has offered Windows phones in the past, and like its earlier devices, the 50 Cesium targets buyers on a budget with modest specs matching its low price of €99.99 EUR (around $110 USD). 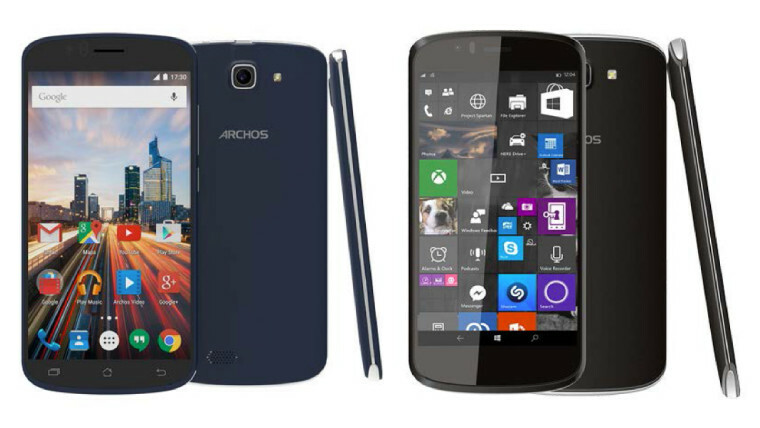 Archos operates primarily in Europe, although its devices are available through distributors in various other markets around the world, as far afield as Australia, Chile, Hong Kong and Tanzania. 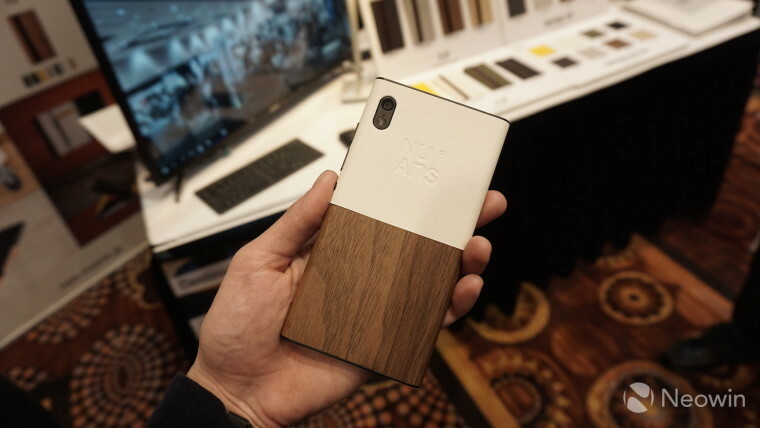 ARP Mobile is one of several Japanese brands to have taken an interest in Windows 10 Mobile so far, although its XC01Q isn’t an original design from the company. In fact, it’s based on the X1 reference design from Coship (whose devices we’ll look at shortly), albeit with a couple of differences compared with the standard model. The mid-range ARP XC01Q features a Snapdragon 410 processor, 2GB of RAM and 32GB of storage, along with a 5.5-inch 720p display – but it appears unlikely that it will be sold outside of Japan. 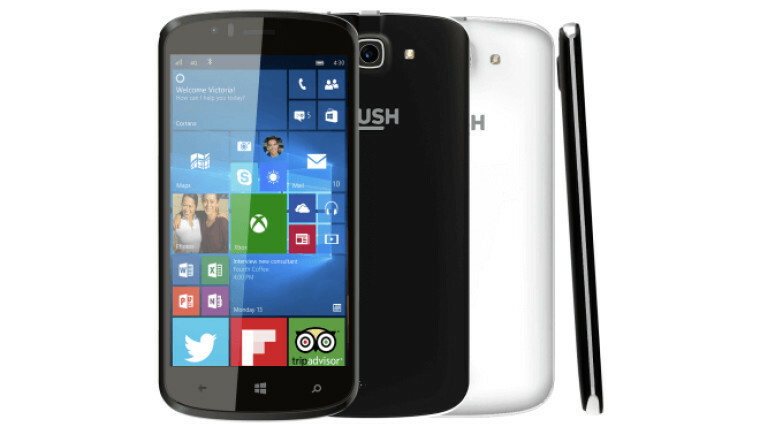 British consumer electronics brand Bush launched its first Windows 10 Mobile handset in January for just £79.95 GBP (around $115 USD) SIM-free, making it one of the most affordable Windows phones available in the UK – but as you may have spotted, it isn’t a device of Bush’s creation. The Eluma bears an obvious similarity to the Archos 50 Cesium, which is no surprise, given that both devices are rebadged versions of an off-the-shelf reference design from an unknown ODM (original design manufacturer). Based in the Philippines, Cherry Mobile launched its first Windows devices in September 2014, and appears to have been the first company to officially announce Windows 10 Mobile handsets, back in June 2015. 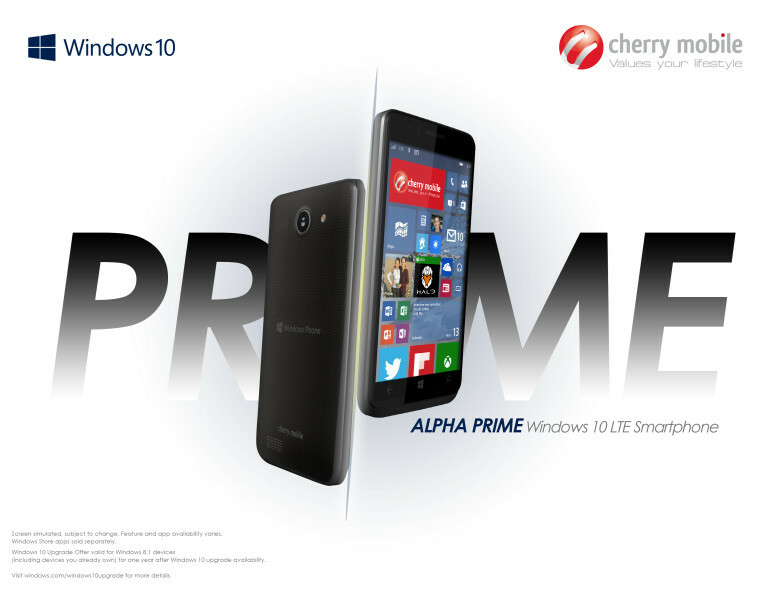 Cherry said it would launch two Windows 10 Mobile handsets – the Alpha Prime 4 and Alpha Prime 5 – but only the latter has so far made it to market, going on sale in April. Cherry originally intended to release the 4-inch model with ultra-low-end specs to make the device as affordable as possible, including just 512MB of RAM and 4GB of onboard storage. 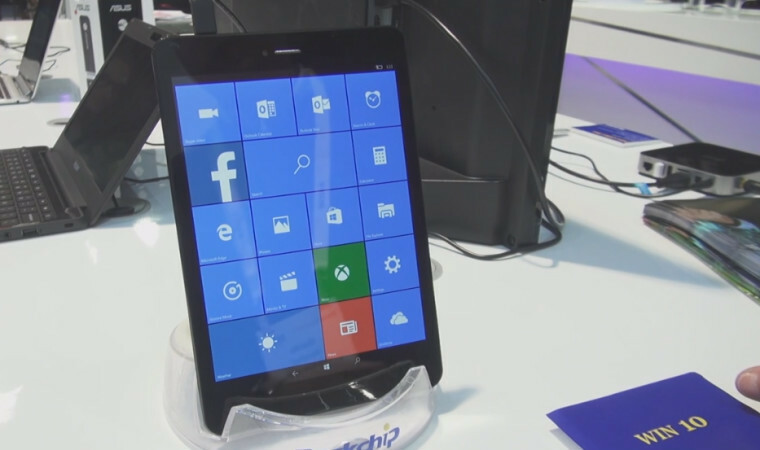 Coship has unveiled more Windows 10 Mobile devices than any of Microsoft’s hardware partners so far – and with good reason. In addition to selling phones under its own brand, Coship is also an ODM, designing devices which other companies can customize and brand as their own. The L08 is the most basic of Coship’s reference designs, featuring a 4.5-inch FWVGA (854x480px) display, Snapdragon 210 processor, 1GB of RAM and 8GB of storage, along with a 5MP rear camera and 2MP selfie cam. 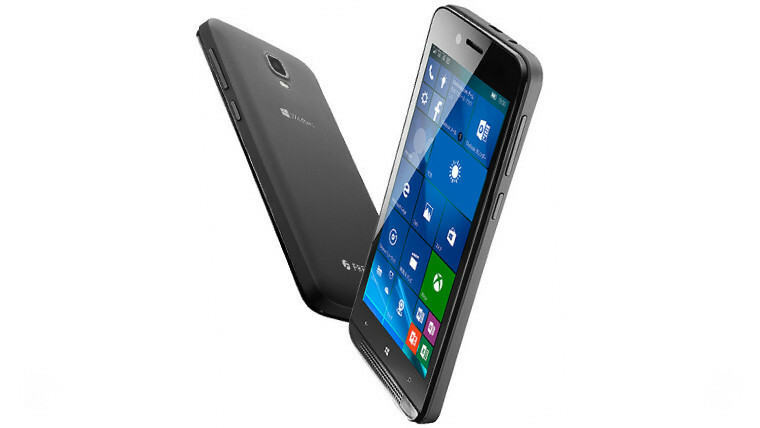 The X1 was the first of Coship’s Windows 10 Mobile reference designs, and made its first appearance in early 2015 with Windows Phone 8.1 onboard. Notably, it’s one of only a tiny number of Windows devices ever to have offered water and dust-resistance. 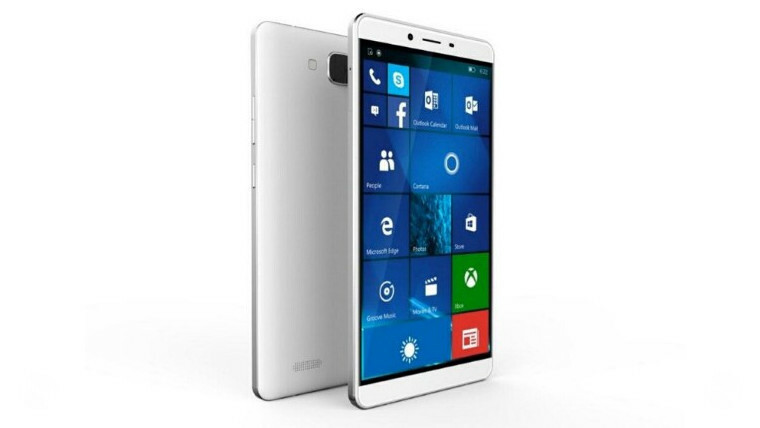 It’s also one of the thinnest Windows handsets so far, with a sleek body that’s just 6.9mm-thick. Coship began selling the device itself as the Moly X1 earlier this year, with a 5.5-inch Full HD (1920x1080px) display, Snapdragon 410 SoC, 2GB of RAM and 16GB of storage, priced at $299.99. Coship unveiled a further lower-end reference design this year in the form of the X5W, which it launched under its own brand as the Moly W5. Priced $100 lower than its X1 sibling, it features a 5-inch 720p display, Snapdragon 210 processor, 1GB of RAM and 8GB of storage. 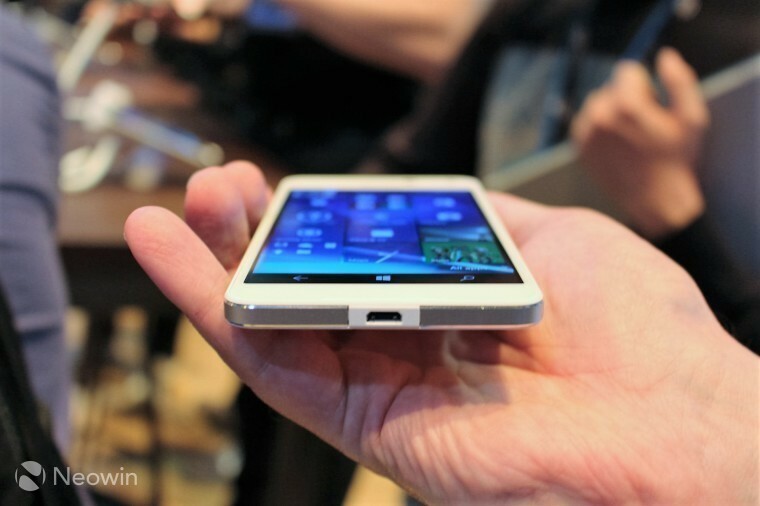 Like the X1, it’s also very thin indeed, at just 7.1mm-thick. Completing the Coship line-up is the company’s new flagship-class handset – and as its name suggests, it includes support for the high-end Continuum feature. With an octa-core Snapdragon 617 processor, 3GB of RAM and 32GB of storage, the PcPhone W6 will be priced at $399, and also features a huge 6-inch Full HD display, and a generous 3900mAh battery. 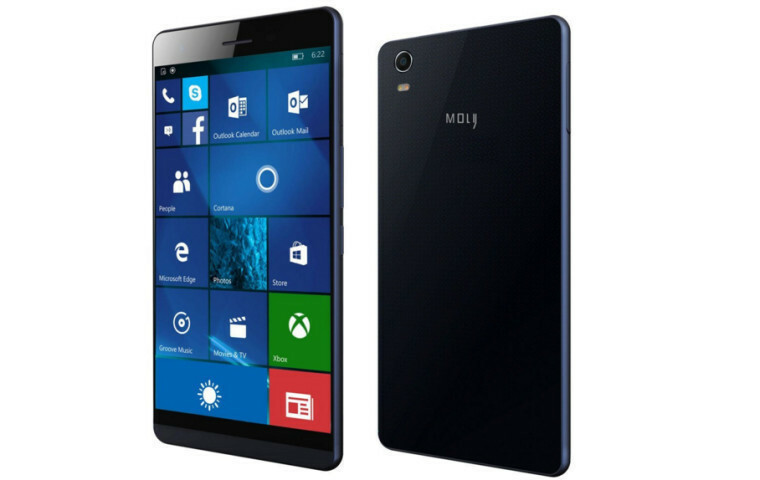 And like its siblings, the W6 is also remarkably slim at just 7.9mm thick – even thinner than Microsoft’s Lumia 950 XL range-topper. 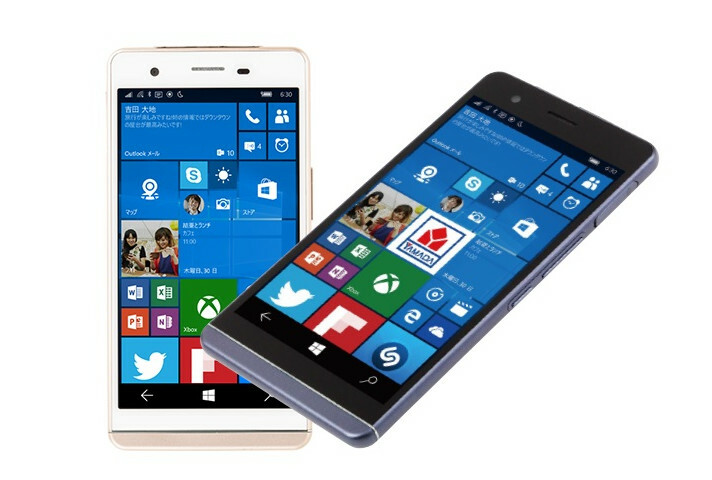 Covia is another Japanese brand to jump on the Windows 10 Mobile train, launching its new Breez X5 in its home market in recent weeks. 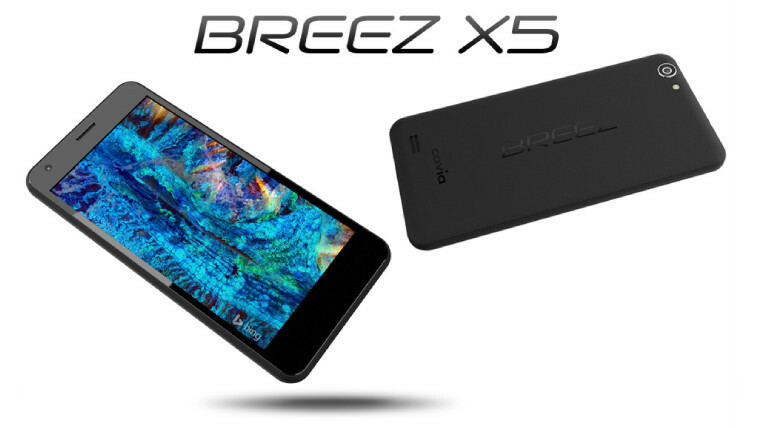 Like so many of the latest Windows handsets, the Breez X5 is a low-end device with basic specs. Somewhat optimistically, the X5’s product page on the company’s website refers to the Windows 10 Mobile Continuum feature. 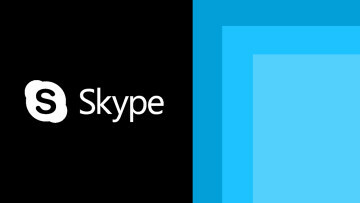 Don’t be fooled – the phone’s Snapdragon 210 processor and 1GB of RAM are nowhere near the minimum specs required to support Continuum. Another Japanese company, another low-end phone. 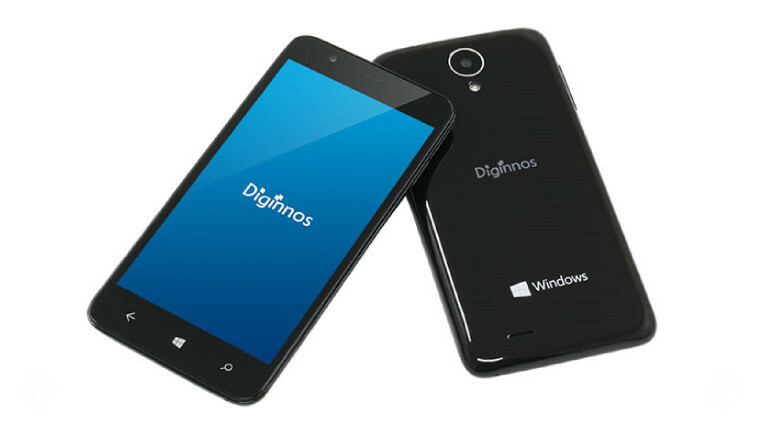 Diginnos Mobile’s DG-W10M was one of the first Windows 10 Mobile handsets to go on sale – just a few weeks after Microsoft’s flagships. It features a 5-inch 720p display, Snapdragon 210 processor, 1GB of RAM and 16GB of storage. But while it’s only on sale in Japan under the Diginnos brand, it will no doubt pop up elsewhere eventually – it’s based on the G500 reference design from Chinese ODM Sunty World. 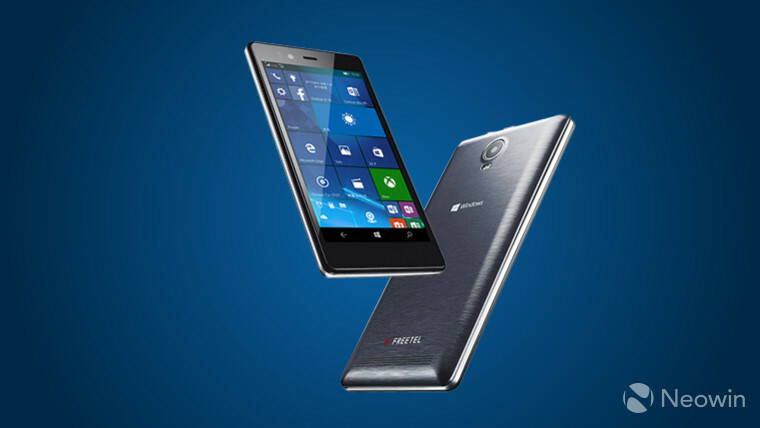 Yet another Japanese firm on the list, Freetel declared its interest in Windows 10 Mobile early on, announcing its two devices in June 2015, just a few weeks after Cherry Mobile. The Katana 01 is the entry-level model, with a 4.5-inch FWVGA display, 1GB of RAM, 8GB of storage and 5MP/2MP cameras. Does it look familiar? It should – it’s based on Coship’s L08 reference design. The Katana 02 is also a low-end device, but its specs are a little better than those of its sibling. It has a 5-inch 720p display, 2GB of RAM and 16GB of storage, along with 8MP/2MP cameras. Both of the Freetel devices are only sold in Japan. If you’ve been paying close attention so far, you’ll probably have noticed that the W5.5 Pro looks rather similar to another device that we’ve already seen. Spanish brand Funker rebadged Coship’s X1 as the W5.5 Pro, giving it a lower-resolution (720p) display than the original reference design. Other than that, the two devices are identical, including the rather handy dust- and water-resistance. Three months after it went on sale for just under €240 EUR, the W5.5 Pro’s price has since fallen to €210. 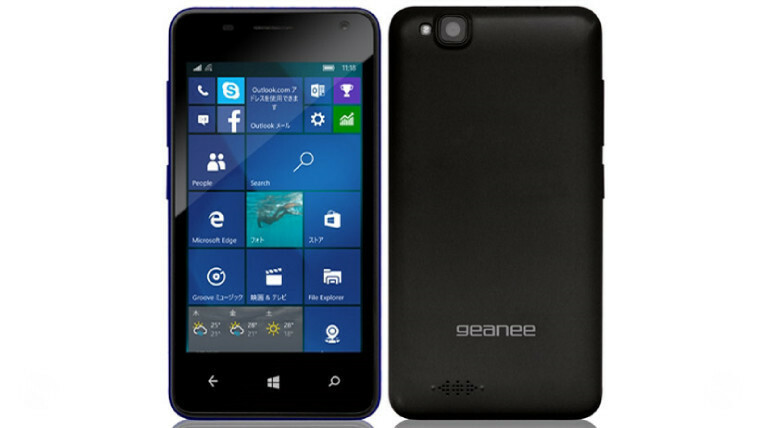 Geanee’s snappily-named WPJ40-10 is another handset that’s exclusive to Japan, and it’s also the smallest Windows 10 Mobile device of all. 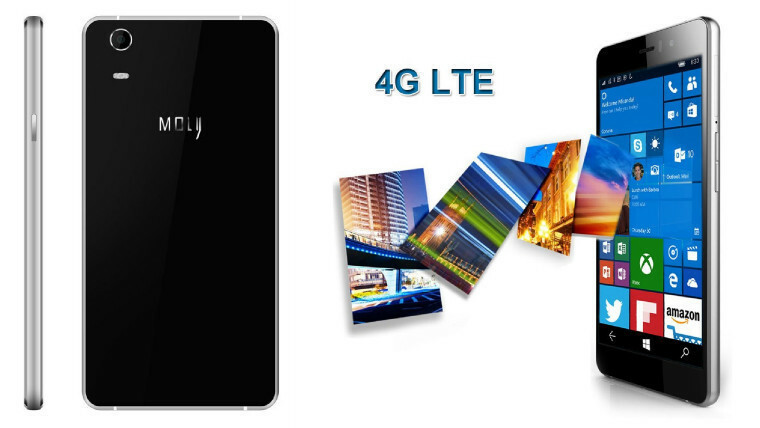 Featuring a 4-inch WVGA (800x480px) display, it also has 1GB of RAM, 8GB of storage, and 5MP/2MP cameras. Perhaps the most exciting Windows 10 Mobile device we’ve seen so far, the Elite x3 won’t actually go on sale until August, but there’s certainly a lot to look forward to. The x3 promises the most high-end specs of any Windows phone to date, including the latest Snapdragon 820 SoC, 4GB of RAM, 64GB of storage, and a 5.96-inch display with Quad HD (2560x1440px) resolution. 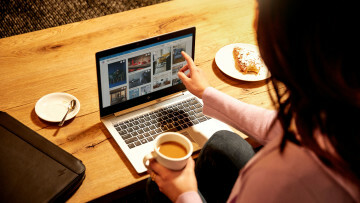 The device was conceived around the needs of business users according to HP, and like Acer, the company will also offer a laptop-style Mobile Extender device, to provide a portable PC-like Continuum experience. 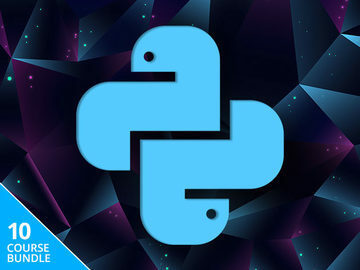 But HP is going even further, building a novel software virtualization solution to allow companies to support the secure use of legacy applications on the handset. The Elite x3 also features Pogo pins to offer extended compatibility with additional hardware, for use in healthcare, retail and other scenarios. 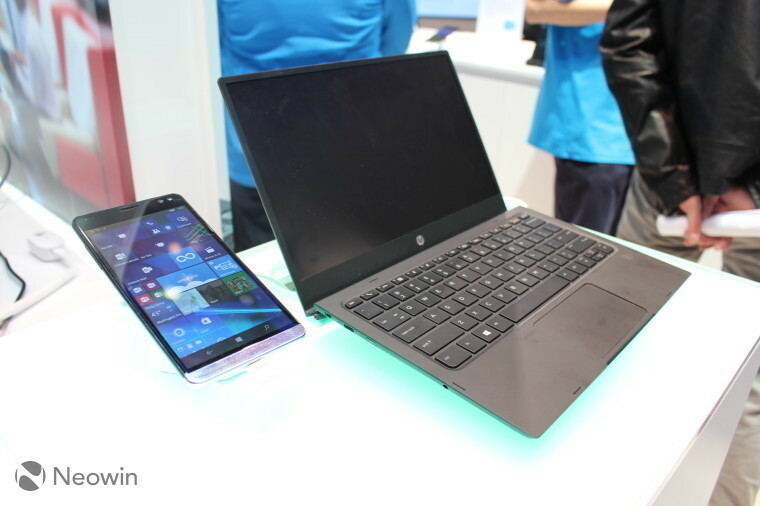 You can find out more about the HP Elite x3 in our detailed overview, including a chat with HP executive Daren Ng about the company’s approach to developing the device. 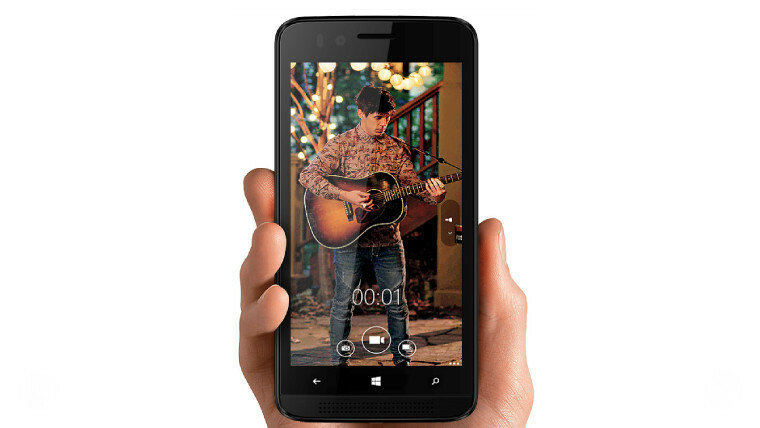 Microsoft’s low-end Windows 10 Mobile handset is the cheapest model in its much-reduced range – and like so many other entry-level devices on this list, the Lumia 550 has a Snapdragon 210 processor, 1GB of RAM and 8GB of storage, along with 5MP/2MP cameras. It also has a 4.7-inch 720p display, but unlike the earlier range of colorful Lumias, the 550 is only available in black and white (and the same goes for the rest of Microsoft’s new Lumias). 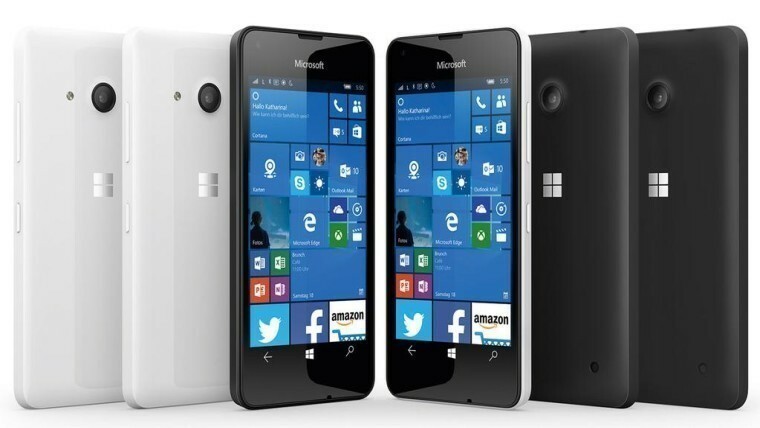 Microsoft’s newest Windows 10 Mobile handset is also believed to be the last in the Lumia line, as the company is reportedly focusing its efforts on a new class of ‘Surface phone’ that’s still almost a year away. 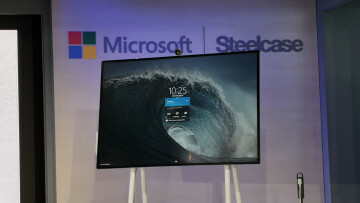 When Microsoft launched the Lumia 650 in February, it claimed that the device was uniquely suited to the needs of business users. That’s a claim that makes very little sense, when you consider that – aside from its smart aluminum-framed body and the $199 price tag – it offers absolutely no features for business users that aren’t available on other Windows phones. You can even get Office, OneDrive and Cortana on Android and iOS these days. Even so, the Lumia 650 is still a very impressive handset, with a sleek 6.9mm-thick body and vibrant 5-inch OLED screen, and its 8MP rear camera is pretty good too. Microsoft’s Windows 10 Mobile flagships feature broadly similar specs, differing mainly in processor (Snapdragon 808 vs 810), screen size (5.2- vs 5.7-inch) and battery size (3000 vs 3340mAh). As with the Lumia 650, Microsoft’s launch patter for the 950 and 950 XL was somewhat meaningless, as it claimed that the two devices had been designed ‘for the fans’, despite little evidence to support that. Fans’ requests for a follow-up to the Lumia 1020’s 41MP camera, premium metallic bodywork, water-resistance, stylus support, physical buttons (rather than on-screen Back, Start and Search keys), and other features, were overlooked. As a result, the Lumia 950 and 950 XL aren't as impressive as some fans had hoped, but still offer high-end features, including beautiful AMOLED screens, and hugely capable 20MP PureView cameras, along with Continuum support. Even so, Microsoft admitted last month that it ended the first quarter of the year “with relatively high channel inventory” due to weak sales of its Lumia range, and soon followed up with a buy-one-get-one-free offer on its two flagships in North America to help shift some stock. It hasn't helped that Microsoft has been slow to makes its devices more widely available - in Brazil, for example, the Lumia 950 is still listed as 'coming soon', over six months after going on sale in the US. We’re not done with Japanese hardware brands yet. Mouse Computer (MCJ) unveiled its Madosma Q601 earlier this year, featuring a Snapdragon 617 processor, 6-inch 1080p display, 3GB of RAM, 32GB of storage and a 3900mAh battery, all squeezed into a 7.9mm-thick body. Recognize those specs? 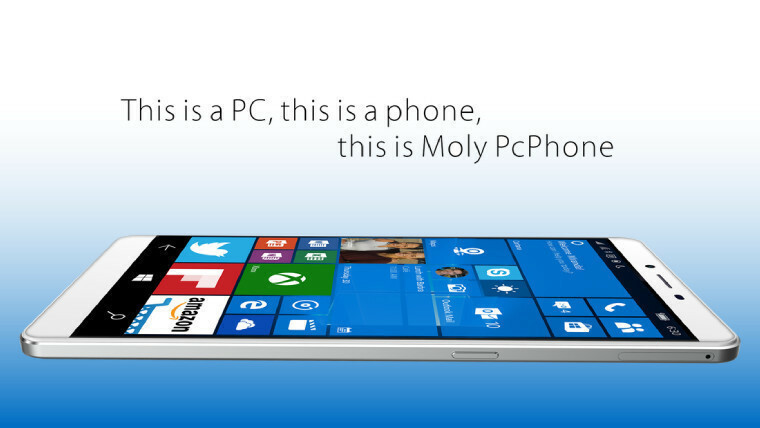 If you spotted that they’re identical to the Coship Moly PcPhone W6, give yourself a cookie. Yes! It’s another Japanese brand – but this one stands out from the pack with a truly distinctive design, that allows users to customize their handset with two sets of swappable shells that they can mix and match to their hearts’ content. Trinity’s NuAns Neo has a Snapdragon 617 processor and 2GB RAM, offering Continuum support, along with a 5-inch 720p display, 16GB of storage, 13MP/5MP cameras, and USB Type-C port, plus a 3350mAh battery. 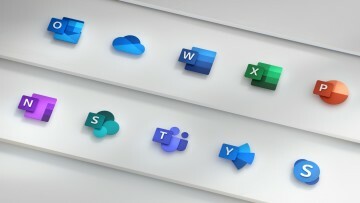 The company has even designed its own unique take on Microsoft’s Display Dock, by incorporating its own version into a stylish desk lamp, which you can see in our hands-on overview. 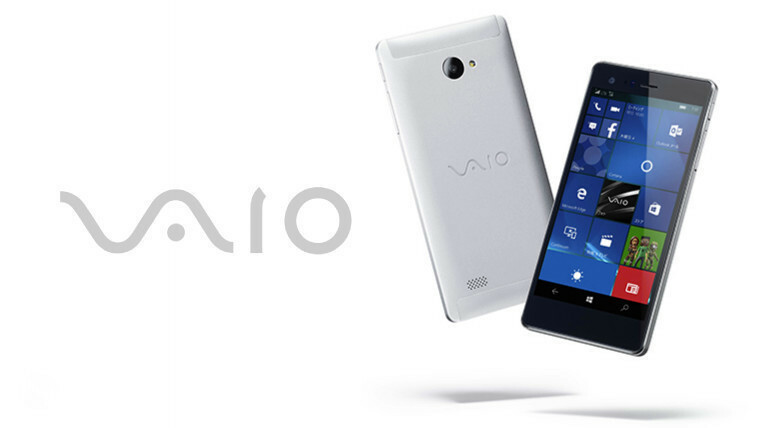 VAIO – the independent company formed from the sale of Sony’s PC business in 2014 – unveiled its first Windows 10 Mobile handset in February. As its slightly odd name implies, the Phone Biz is aimed at business buyers, and features sleek aluminum bodywork, a 5.5-inch Full HD display, 16GB of storage and a Snapdragon 617 processor with 3GB of RAM. Curiously, VAIO didn’t give the device a USB Type-C port, so while its specs support Continuum, that support is only available wirelessly. Sadly, it seems the Phone Biz will only be sold officially in Japan for the foreseeable future. 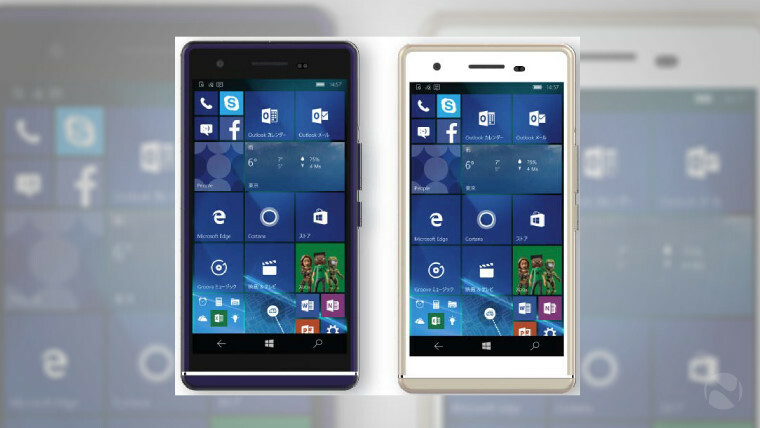 Japanese retail giant Yamada Denki revealed its Windows 10 Mobile phone back in November, and the more observant among you may have already noticed its similarity to other devices here. Yep, the EveryPhone is another rebadged version of the Coship X1 – specifically, the same variant as the XC01Q from fellow Japanese brand ARP Mobile, with a 720p display and 32GB of storage. Microsoft previously resisted the idea of allowing manufacturers to run its phone OS on tablets, but that all changed with the launch of Windows 10 Mobile. With its upcoming Anniversary Update, the company will even allow devices with screen sizes up to 9-inches to run the mobile version of the OS (up from 8-inches). So far, though, the option of running Windows 10 Mobile on tablets hasn't proved particularly popular. 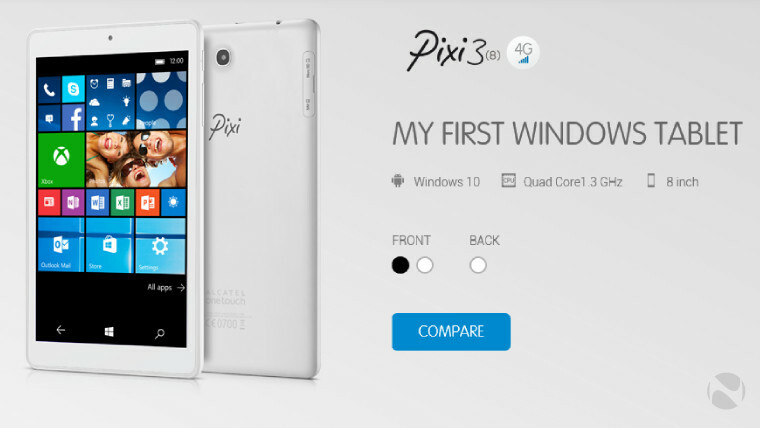 Alcatel announced the Pixi 3 (8) in January, promoting it with the slightly childish tagline, ‘my first Windows tablet’. The device offers 4G LTE connectivity, along with similar specs to many entry-level Windows 10 Mobile phones, including a Snapdragon 210 processor, 1GB of RAM and 8GB of storage, plus 5MP/2MP cameras, but it also has an 8-inch display with 1280x800px resolution. An Android version of the device is available too. Also in January, Taiwanese firm PiPO showed off its U8T tablet, with a 7.85-inch 1024x768px display, 1GB of RAM and 16GB of storage. Unusually, the device doesn’t have a Qualcomm Snapdragon processor, but rather a Rockchip RK3288W SoC – and there’s no cellular connectivity either. 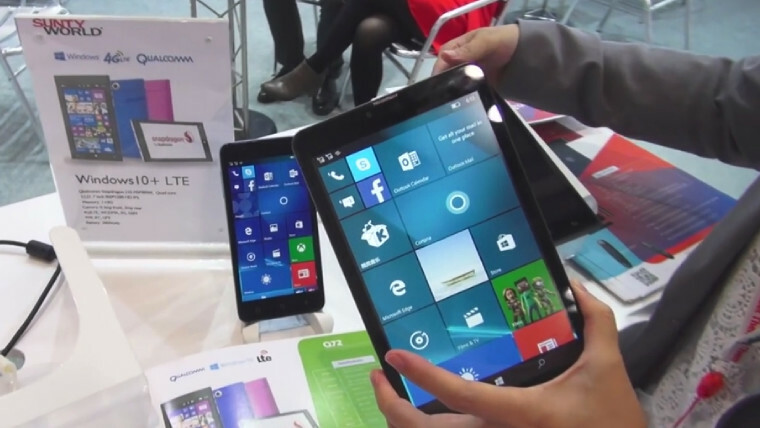 Sunty was the first manufacturer to reveal tablets with Windows 10 Mobile onboard back in December. The 7-inch Q72 and 8-inch Q82 are both low-end devices, but both also include 4G LTE connectivity, along with Snapdragon 210 processors; either 1GB or 2GB of RAM; and 8GB or 16GB of storage. It’s not clear if Sunty intends to sell the tablets under its own brand, but as it’s an ODM, we may well see them both being sold by other companies in the future. 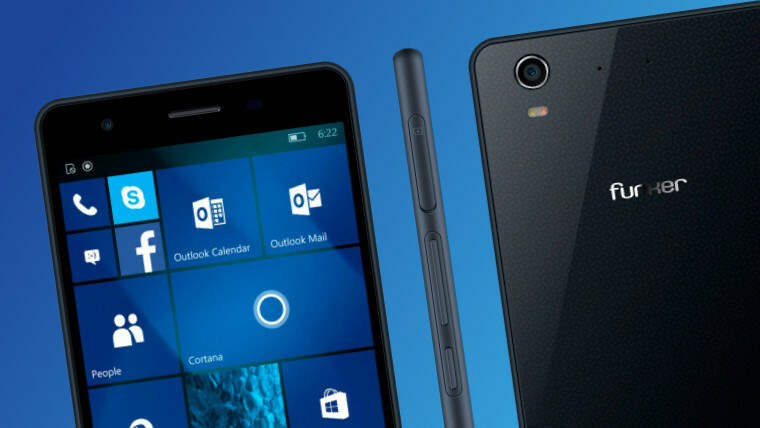 Do you have any favorites among the Windows 10 Mobile phones and tablets detailed here? 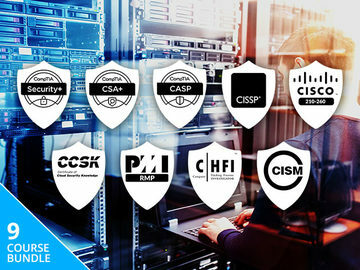 Are you planning to buy any of them? And did we miss any devices off the list? Be sure to let us know in the comments below!